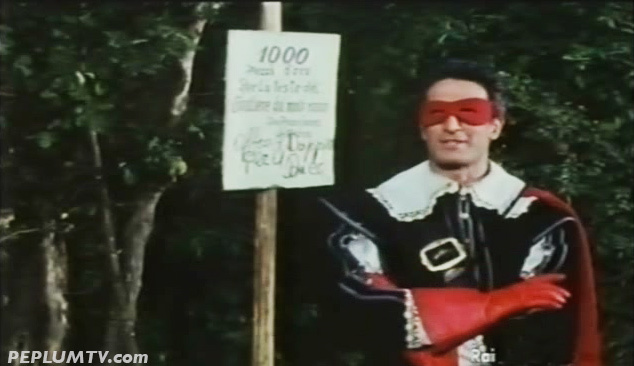 I didn't include this example in the list below because it's a pseudo-Zorro like costume which are plentiful, and in this case not really terrifying. THE LION OF ST MARK (1963) starring Gordon Scott is another example. To make matters more convoluted, this story has more than one hero: there's Alan Steel as Hercules and Ettore Manni plays another hero. on the political/diplomatic side. You don't know exactly who to root for.